ALEXANDRIA, VA; FEBRUARY 28, 2013 -- PBS announced today that its popular PBS Online Film Festival will return for a second year, beginning March 4. The festival will showcase 25 short films that feature a diversity of subjects, voices and viewpoints; accessible via all PBS digital platforms, YouTube and PBS social media channels. Viewers will have the opportunity to vote for their favorite short film from March 4 through March 22; the film with the most votes will receive the People’s Choice Award. The featured films (see full list below) were produced by a number public media partners, including Independent Television Service (ITVS), POV, Center for Asian American Media (CAAM), Latino Public Broadcasting (LPB), Vision Maker Media, National Black Programming Consortium (NPBC) and Pacific Islanders in Communications (PIC). This year’s festival also includes films from PBS stations KCTS 9 (Seattle), KLRU (Austin), PBS SoCaL (Los Angeles), WGTE (Toledo) and WCVE (Richmond, Virginia). More information and a preview video for the PBS Online Film Festival can be found at pbs.org/filmfestival. 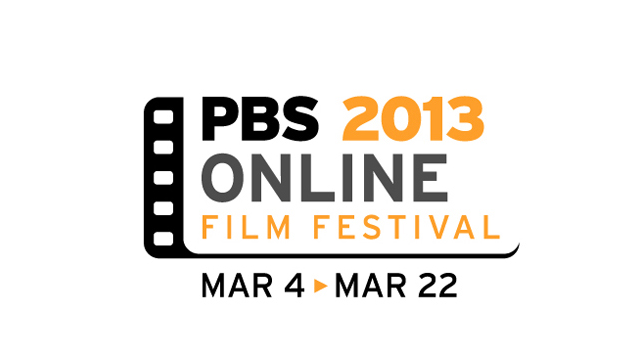 For updates on the festival, follow #PBSolff on Twitter. Independent Television Service (ITVS) “Brionna Williams” Meet Brionna Williams: At 14, she was suffering from health problems and chronic asthma. Now a 17-year-old senior at Kansas City’s Central High School, Brionna has become healthier and has found focus as a highly recruited student athlete. “Can’t Hold Me Back” The film follows Fernando Parraz as he becomes the first in his family to earn a high school diploma — his ticket out of the struggles of inner-city poverty and violence. With a mountain of roadblocks stacked against his educational achievement, Fernando finds support from an unlikely figure: his father — a former gangster who has suffered the costs of his own mistakes. “Story of an Egg” Can learning the meaning of a single term actually help change the food system? David Evans and Alexis Koefoed think so. These poultry farmers explain the real story behind such terms as “cage free,” “free range” and “pasture raised” so that consumers can make informed decisions when they go to their local supermarket. “CatCam” An engineer straps a camera on a stray cat in North Carolina and inadvertently creates a media sensation. “Sound of Vision” A blind musician spends his waking hours confronting the hurdles and embracing the cacophony of “The City That Never Sleeps” — New York — which he will never see. Center for Asian American Media (CAAM) “Verses in Exile: Why I Write” Vehement Khmer American spoken word artist Kosal Khiev delivers a passionate personal narrative in this engaging, head-on collision between the political and personal. “Indian Summer” This short documentary brings together first generation Indian American youth with similar feelings of alienation to document their religious and cultural point of view. POV and Latino Public Broadcasting (LPB) “Sin País ” (Without Country) Winner of a 2012 Student Academy Award®, “Sin País” explores one family’s experience as members are separated by deportation. Vision Maker Media “Hoverboard” After watching Back to the Future 2, an imaginative young girl and her stuffed teddy bear try to invent a real working hoverboard. Vision Maker Media and ITVS “Injunuity : Buried” “Injunuity” is a unique mix of animation, music and real thoughts from real people exploring our world from the Native American perspective. “Buried” shares Oblone activist and educator Corinna Gould’s reflection on the destruction of sacred shell mounds in the San Francisco Bay Area of California. National Black Programming Consortium (NBPC) “Asylum – Bisi” Bisi Alimi describes coming out as a gay man — on national television — in Nigeria. “Asylym – Skye” Skyle Tenevimbo stood up to Robert Mugabe and her actions brought unwanted attention to her family back in Zimbabwe. Pacific Islanders in Communication (PIC) “Lina’la’ Lusong” Unshaken by centuries of colonial conquest and the changing tides of occupation, the lusong has endured to heal and feed the people of the land, and to impart a sacred lesson of survival. KCTS 9 (Seattle) “Capsule” Two astronauts struggle to stay alive as their crashed space capsule slowly runs out of oxygen. “Honor the Treaties” A portrait of photographer Aaron Huey’s work on the Pine Ridge Reservation. Featuring Shepard Fairy. “The House I Keep” A short film about a young woman’s emotional struggle to come to terms with her miscarriage. KLRU (Austin) “Noc na Tanecku (Night at the Dance)” A profile of the last days of a Czech dance hall in rural Texas—and the old-timers who come there to polka. “Mijo” An evocative portrayal of a mother and child’s intimate relationship in the midst of life-altering medical events. “The Longest Sun” A narrative short film inspired by the mythology of the Tewa peoples of northern New Mexico is told entirely in the endangered language of Tewa (less than 500 native speakers remain). The film follows a young Tewa boy who sets out on a mythical journey to stop the sun from setting. PBS SoCaL (Los Angeles) “Breathe Life” The Montelone family must fight cystic fibrosis every day, but their passion for love, life and surfing allows them to get through the uncertainty. “Still” Dive into the world of Carlos Eyles, ocean photographer, to discover the powerful connection between humankind and the seas that surround us. “Worlds Apart” A young Native American woman deals with the struggles of college away from her reservation. WCVE (Richmond, Virginia) “Live Art” A groundbreaking educational program and concert event, created and led by the School of the Performing Arts in Richmond, Virginia. WGTE (Toledo) “Heel” From the theater stage to the wrestling mat, the surprising story of a young woman’s journey to be a wrestler. About PBSPBS, with its over 350 member stations, offers all Americans the opportunity to explore new ideas and new worlds through television and online content. Each month, PBS reaches nearly 120 million people through television and nearly 28 million people online, inviting them to experience the worlds of science, history, nature and public affairs; to hear diverse viewpoints; and to take front row seats to world-class drama and performances. PBS’ broad array of programs has been consistently honored by the industry’s most coveted award competitions. Teachers of children from pre-K through 12th grade turn to PBS for digital content and services that help bring classroom lessons to life. PBS’ premier children’s TV programming and its website, pbskids.org, are parents’ and teachers’ most trusted partners in inspiring and nurturing curiosity and love of learning in children. More information about PBS is available at www.pbs.org, one of the leading dot-org websites on the Internet, or by following PBS on Twitter, Facebook or through our apps for mobile devices. Specific program information and updates for press are available at pbs.org/pressroom or by following PBS Pressroom on Twitter.